I got started hunting medium game such as deer and hogs with a traditional hunting rifle. For most hunters, deer season consists of dusting off the .270, confirming zero at the range, and then setting up a blind or tree stand in a place where deer are likely to be. For some, this is all they want out of hunting season: some quality time spent out in the woods and the chance at bringing home some venison. For others, like myself, this is not enough. It’s not difficult to set up in a good location on properly scouted land and be able to tag a deer at 100 yards or more with a modern hunting rifle. For hunters like myself the desire to hone skills and become more intimate with the prey drives us to use more primitive methods. Many hunters move over to bow hunting. Modern compound bows however are nothing like their ancient counterparts, and it’s not truly fair to refer to them as “primitive.” But successfully employing one in a hunt requires quite a bit of skill nevertheless. They require a hunter to set up a blind much closer, or in some situations require them to learn to quietly stalk to within 30 yards or less in order to set up a good shot. Arguably not as difficult to utilize as a modern compound bow, handguns bridge the gap between rifle and bow hunting. They don’t pack the power of a rifle, and the shorter trajectory and lower energy of these platforms makes their effective range limited. Still, the familiarity of the trigger and aiming system makes their use somewhat familiar to hunters. Most important, for myself at least, is the fact that getting started hunting with handguns doesn’t require a massive investment if one already has a rifle hunting setup. Bow hunting requires purchasing not just an adequate bow, but also arrows, quiver, broadheads, a trigger/release, and aiming system. This expense can quickly run into the thousands of dollars. 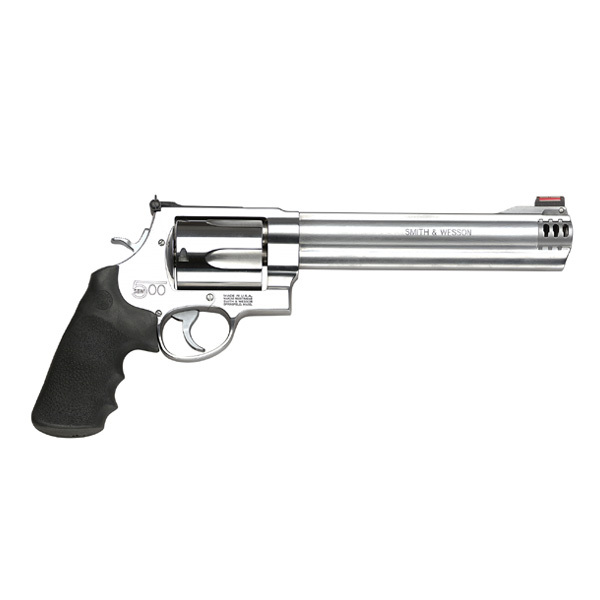 On the other hand, a quality .357 or .44 magnum revolver can be acquired for less than $500 used. Many hunters already have lever action rifles chambered for these calibers, but even a hunter with only a .308, .270, or .30-06 bolt action rifle can find single shot pistols chambered in the same calibers they already own. Thompson Center Encore pistols for example can be found chambered in the relatively easy shooting .243, .270, 7mm-08 and .25-06 calibers and are often scoped to make shooting out past 100 yards a simple matter. Check your local hunting regulations before investing in a handgun for hunting. 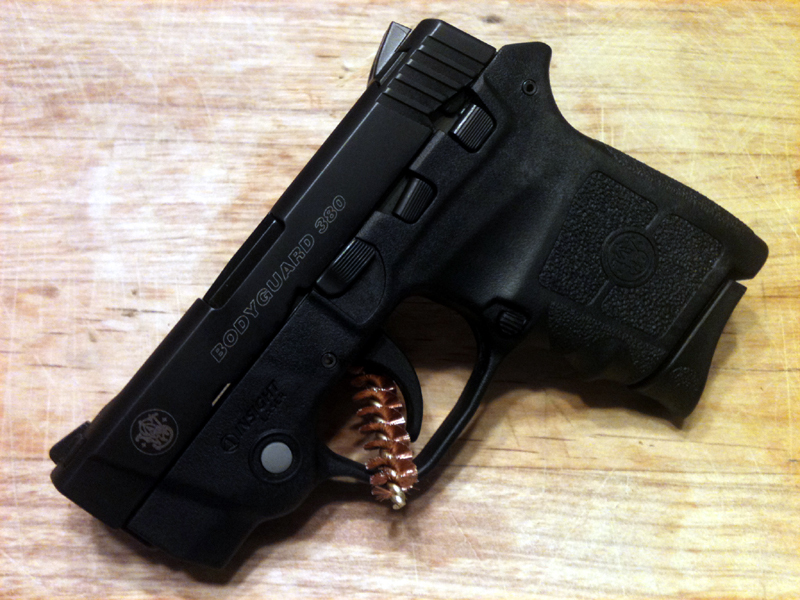 Not all jurisdictions allow the use of handguns, and some of those that do have minimum requirements with regards to caliber and muzzle energy. If a bit more challenge is what you’re seeking this hunting season, keep an eye out for some upcoming articles on the type of hunting handguns suitable for bringing Bambi to the table. Kel-Tec claims they’ve shipped their newest gun, the PMR-30. I’ve been eagerly awaiting my own since ordering it back in April. I’ve been checking regularly with my local gun dealer – so far my pistol hasn’t come in yet. I’ve long had a passion for .22 WMR autoloading pistols. 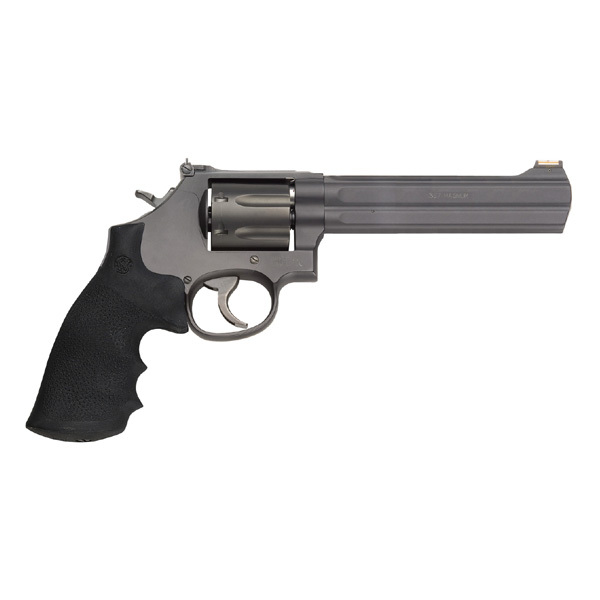 Many people will argue that, if you want a .22 magnum pistol, you’re better off picking up an inexpensive and reliable revolver. 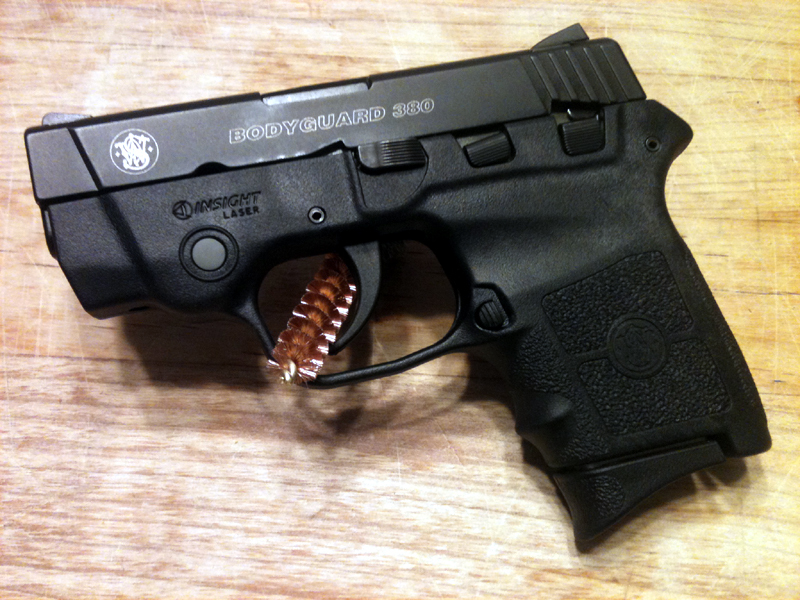 Rimfire revolvers have been around for well over 100 years, and the technology is well refined. But there’s something to be said about having 10, 20, or even 30 round at your disposal without the need to reload. A number of years ago I picked up an old AMT Automag II in fair condition. Long and lean, it looked like a cross between a 1911 and a Beretta 92 that had been crafted from shiny stainless steel. One of the first magnum autoloaders ever developed, it had a number of problems. Extraction issues caused by the late peak pressure of the .22 magnum load were ingeniously solved by engineers who had a number of tiny ports drilled at 90 degree angles into the chamber. Later I came across an old Grendel P-30 in fair condition. 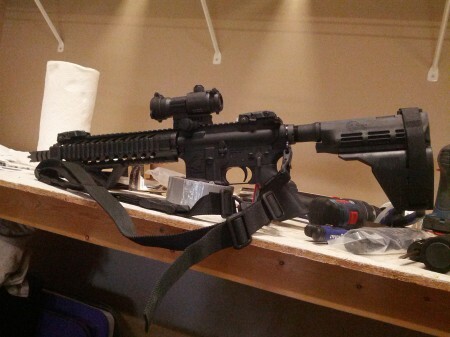 It was an interesting pistol, but prone to feeding problems. 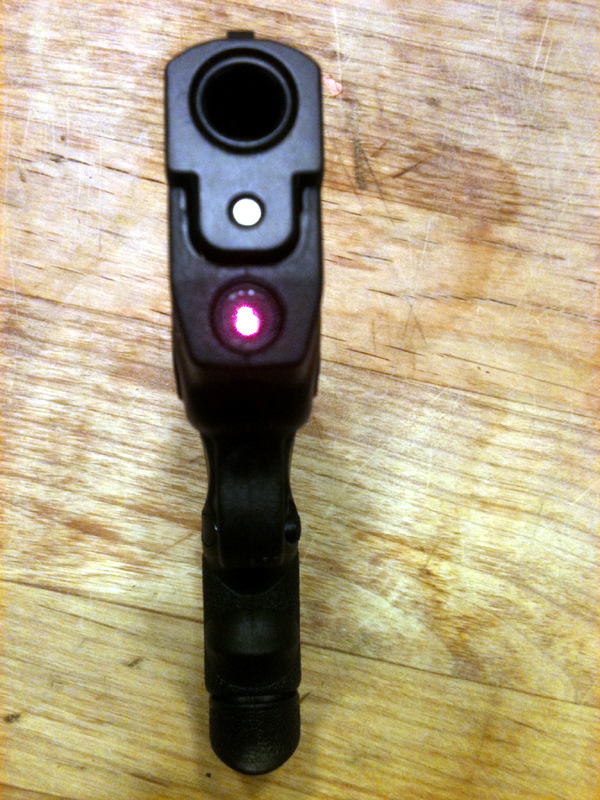 Fun to shoot (when it would cycle), it looked like something out of Blade Runner. Unlike the AMT Automag II, I was never able to get my Grendel to cycle properly, despite the amount of money I gave my gunsmith. 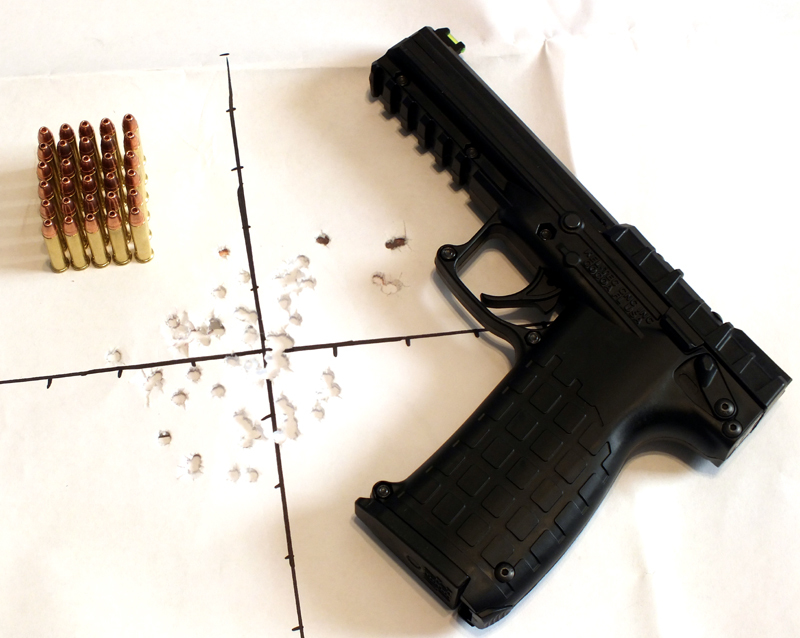 Imagine then my excitement when FN Herstal came out with their Five seveN pistol, appropriately named given the 5.7x28mm cartridge it fired. 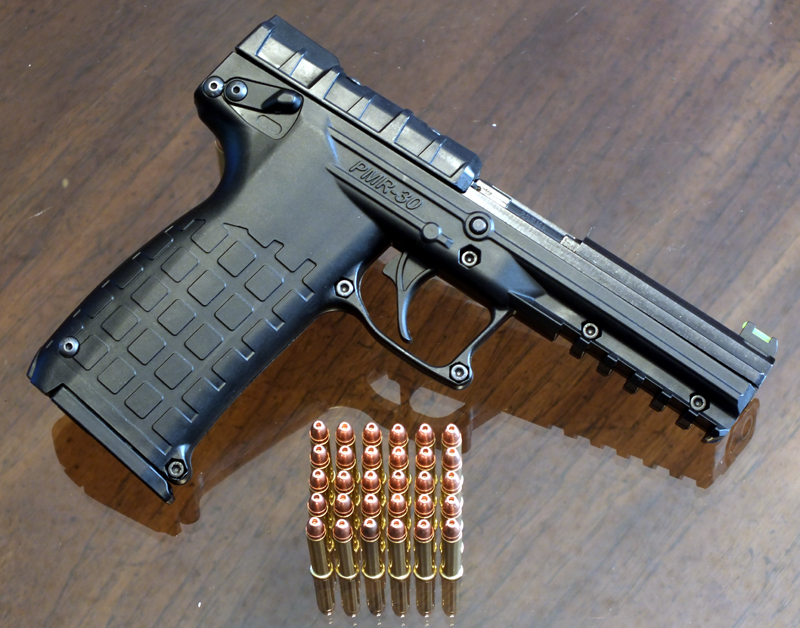 The Five seveN boasted a 20 round magazine capacity and slightly better ballistic performance than the .22 magnum. It was also supremely reliable, though at a very high price. It wasn’t just the pistol that was expensive, retailing for more than $1,000. Ammunition, initially only available through FN, was priced over $0.50 per round. Of course I bought one anyway and still have it, though I don’t shoot it as often as I’d like to owing to the high cost of keeping it fed. So when Kel-Tec, under the direction of George Kellgren the original designer of the Grendel P-30, announced that they were developing a .22 magnum autoloader it piqued my interest. 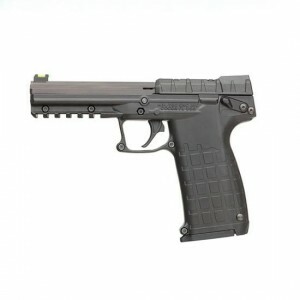 So far however, Kel-Tec has been long on promises and short on delivery. Initial promises of an April delivery date soon became May and then June. 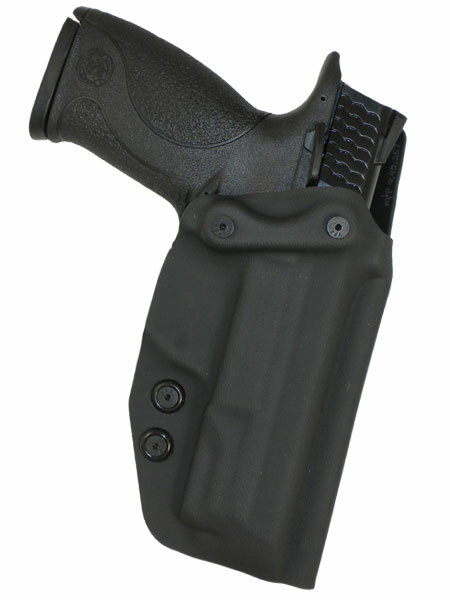 Finally in July Kel-Tec announced that they had shipped their first delivery of PMR-30s. It’s August now, and no one can seem to find them yet. I’ve got my ears to the ground and am eagerly looking for my own model, but so far haven’t found any dealers or distributors who have any. As soon as I find one however, you’ll find the review here.